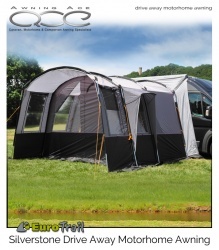 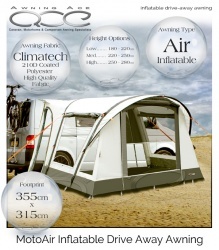 The connection cowl wall can be completely closed when you leave the awning on site without your vehicle for security or can be roll halfway or all the way back making even more space inside your awning. 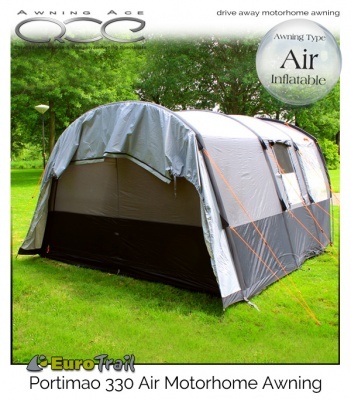 The internal living height is 230cm giving plenty of headroom throughout. 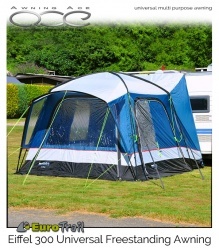 A covered side entrance door completes this superb package with a rain canopy for extra protection and shade. 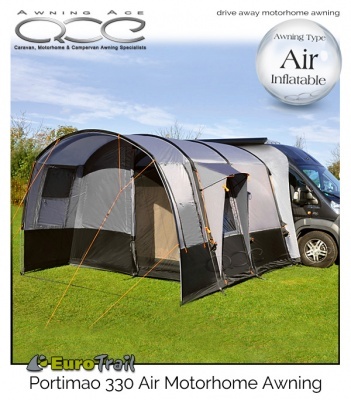 Suitable for most medium and hight top motorhomes and van conversions with an awning connection height of up to 260cm making this ideal for Volkswagen Crafter, Toyota Proace, Citroen Relay, Mercedes-Benz Sprinter, Peugeot Boxer, Vauxhall Vivaro, Renault Master, Iveco Daily and many more. 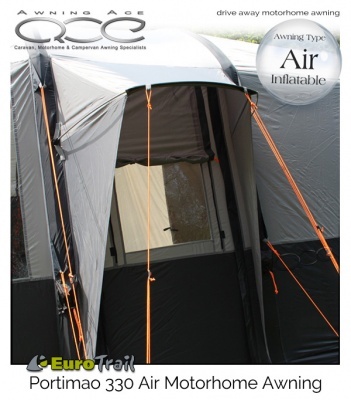 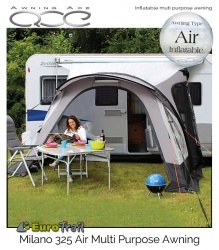 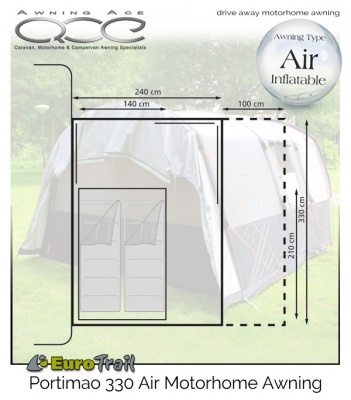 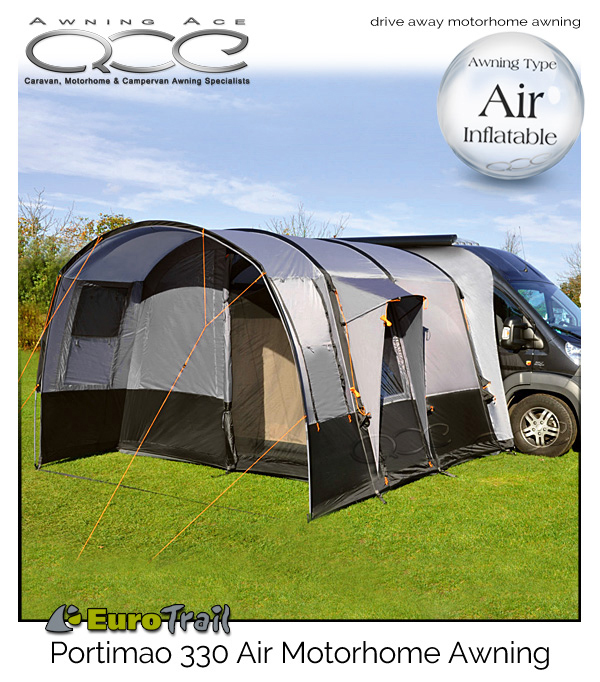 The EuroTrail Portamao also comes complete with a connection rod which slips simply into a pre-sewn sleeve and can be used with sucker or magnetic roof clamps to secure your awning directly to your vehicle (clamps not supplied). 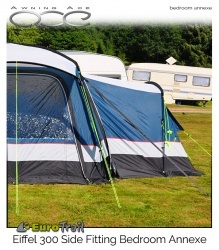 To fit awning rail/connection heights:: up to 260cm.